Why use Cleveland, OH Property Management company? Why use a Cleveland, OH Property Management professional property management company? Consider the following. You can feel secure as you use our Cleveland professional services which work as a system to protect you while maximizing your return on your property investment. Owner clients have reduced risk with our leasing and tenant guarantees as well as our easy out agreement. Save money and get your house leased fast with our professional videos, pictures and descriptions being exposed on 100s of websites and way more. Realty Trust Services 7 point screening process gives owners the best possible chance of getting a great tenant. Rely on our expertise to most efficiently prepare your house for rent and select an ideal rental price. Property owners can rest easy, and get an uninterrupted night’s rest, knowing our 24 x 7 take that midnight call and dispatch help as necessary. Be in the know and head off potential issues before with exhaustive property walk through video reports. We handle all bothersome collection and emotionally draining collections calls so focus on the parts of your life you actually enjoy. No tax worries this year when you prepare your taxes because all of the reports will be neatly delivered with your 1099. You have the option to rent, lease, and / or sell your home, simultaneously, if you desire. The following forms need to be filed with the city: A Rental registration certificate is required. Cost is $35 for fee and $5.00 for lead inspection fee. There is no fee for owner-occupied structures. There is a late fee of $50 if renewed within one month of expiration and $10 per month after that. If owner of property does not have a certificate they are in violation. A lead-based paint certificate may be required with rental registration certificate. The rental registration certificate is valid for 12 months. Needs to be renewed annually. Each rental unit requires a rental registration certificate. Rental registration certificate can be revoked if found to be non-compliant and fee is $200 per 3-month period. Change of owner constitutes a new rental registration certificate. An occupancy certificate is required each time there is a change of use or change in occupancy. Does not need to be renewed unless there are changes to or changes in the use of the property. The cost is $60.00 at the time the application is filled out. If not filled out, city will notify owner within 5 days. An escrow account may be established, depositing in escrow prior to transfer of title and a statement from the buyer acknowledging the receipt of these documents. A residential occupancy certificate needs to be filed with the city for each dwelling structure. Each rental unit costs $35. The city will send out renewal notices one month prior to deadline.The certificate will be issued when the correct fee is paid and the house is in compliance with the city’s codes. If the certificate is not renewed, the city will notify the owner within five days. A violation occurs when the owner does not comply. The owner may be subject to legal action and fines. A violation occurs when a rental unit does not have a rental registration certificate. A fee of $100 per day will be charged for each day of non-compliance. For more information refer here: http://www.city.cleveland.oh.us/CityofCleveland/Home/Government/CityAgencies/BuildingHousing or call 216-664-2827. Link to Cleveland Rental Registration Application http://rtsl.us/psqu. Link to Cleveland Rental Brochure http://rtsl.us/psrp. Notes: The utility must stay in the landlords name a tenant may create a sub account under their name and in order for them to do that the tenant must attend the water companies office and provide a copy of the lease agreement, valid ID, and whatever the deposit may be for the proptery. The securty deposits vary from property to property. Notes: The bill can be transferred into the tenant’s name. There may be a deposit depending on the property and what the predicted usage may be. There is a possibility that the tenant may need to go to the utility company’s office to prove tenancy and if this is required, they will need to provide six months of bills from their previous residence, id and the lease agreement. Usually this is only in cases where the tenant has been late numerous times on their bill, has an outstanding balance, or has committed theft of the utility. Cleveland Public Power will not allow numerous companies to have the same Tax Number, there must be one common company. Cleveland is one of Ohio’s most popular counties. It is also very big in population. 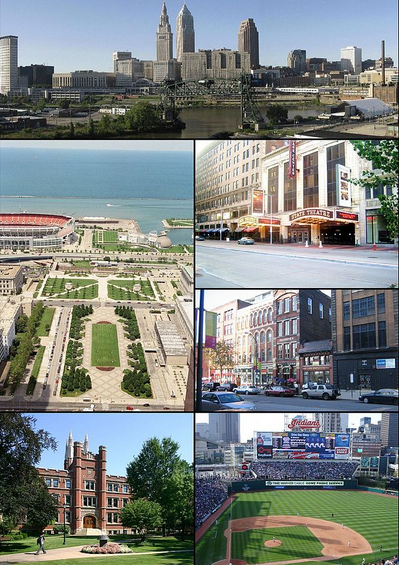 The 2013 census recorded that there’s about 390,113 people residing in Cleveland. Many of the famous people we know are products of Cleveland. Cleveland was named by surveyors after their leader General Moses Cleaveland on July 22, 1796. Cleveland became a city in 1836. The area code is 216.